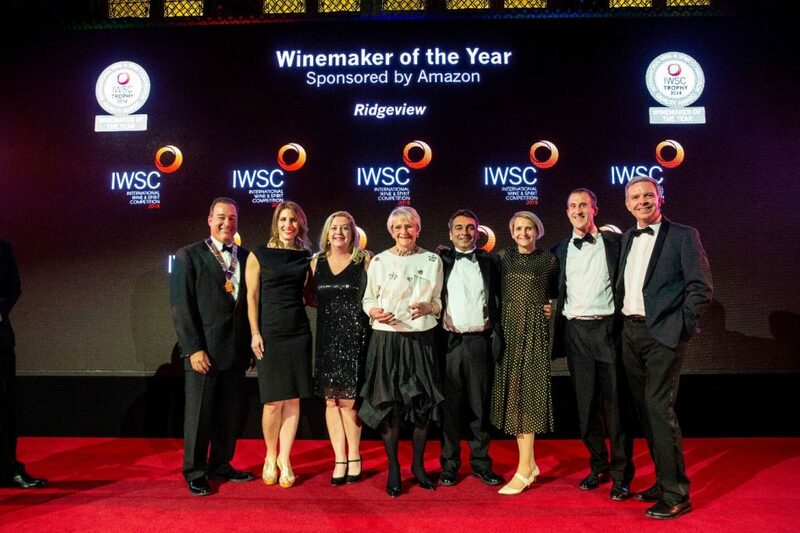 Ridgeview have been awarded the coveted Winemaker of the Year trophy in the prestigious International Wine & Spirit Competition 2018. This marks the first time in the IWSC’s 49-year history that the award has been presented to an English producer. The IWSC attracts entries from over 90 countries and is seen as a benchmark for quality with over 400 global experts assisting with the judging. The award was announced at the Guildhall in London with guests gathered from the global wine world. Ridgeview were also awarded “English Producer of Year” and “English Wine of the Year” for their Marksman 2014, a collaboration with Marks & Spencer. As winners of the best English Wine Trophy, Ridgeview were automatically eligible for the overall world-wide trophy. Ridgeview, founded in 1995 by the Roberts family, were one of the first wineries to be devoted to the production of English sparkling wine. Founder Mike Roberts (1943 – 2014) was awarded an MBE for his services to English wine. Ridgeview is now operated by the second generation of the Roberts family. Ridgeview wines have been served at four Buckingham Palace State Banquets, many prestigious restaurants and exported to 17 countries around the globe. This award has topped off a great year for Ridgeview, with the 2018 vintage the biggest and best ever harvest on record and due to be released in 2020, Ridgeview’s 25th anniversary celebration year.